At Matheson and Horowitz in Vero Beach, Florida, we know how devastating it is to suffer an injury at work. Not only does it take a physical toll on you, but it also affects your finances and puts a strain on your family. Further, trying to obtain benefits from the insurance company is often an uphill battle, as they try to find any way to shortchange you on what you are owed. The attorneys at our law office make it their goal to secure compensation that accounts for the losses you have encountered. Florida’s workers’ compensation laws are complex, though they are designed to compensate you for the wages you miss due to your injury, as well as the medical expenses you have. At our law office, we often see people whose claims have been wrongly denied or unfairly settled because the system either intimidated them or treated them unjustly. Your case deserves a fighting chance. Keep in mind that you are not alone as you move through the process. Our attorneys know your rights and how to advocate for them at every turn. 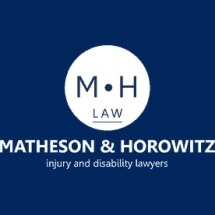 Matheson and Horowitz offers free initial consultations and represents people throughout Brevard, St. Lucie and Indian River counties.